Today’s project was two critter hair clips: a Snail and a Ladybug. They were similar to create so it made sense to put them together! Both clips require rolling ribbon for the bodies. 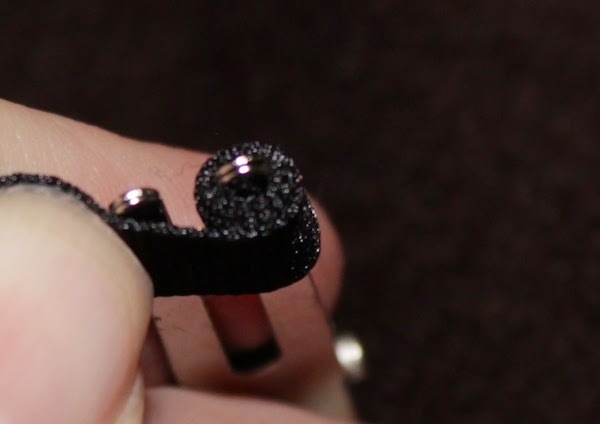 To do this I grasped the ribbon in an uncovered alligator clip and wound a few tight rolls (see below), then carefully removed it and held it while winding the remainder. The amount of ribbon you use for the rolls can vary depending on how large you want them. 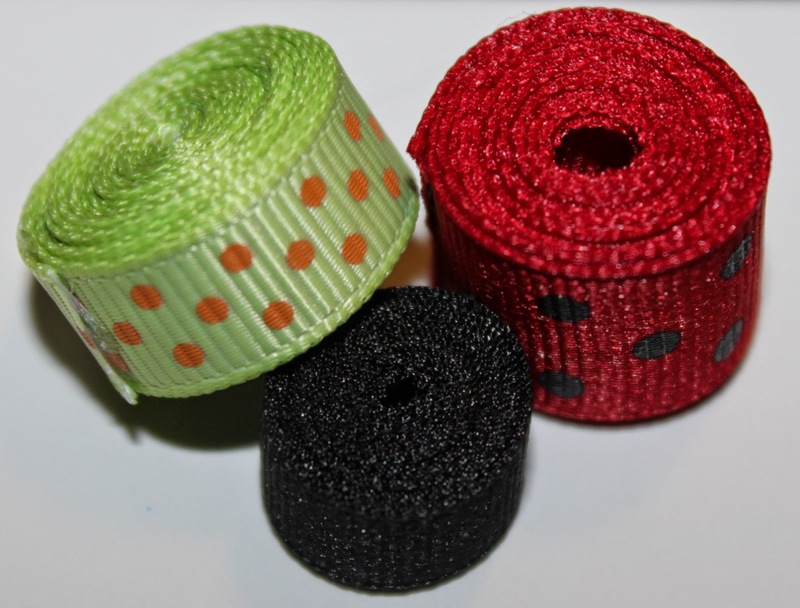 For my ladybug’s body I used 5/8″ red w/ black dotted grosgrain ribbon. The roll was almost 3/4″ in diameter. 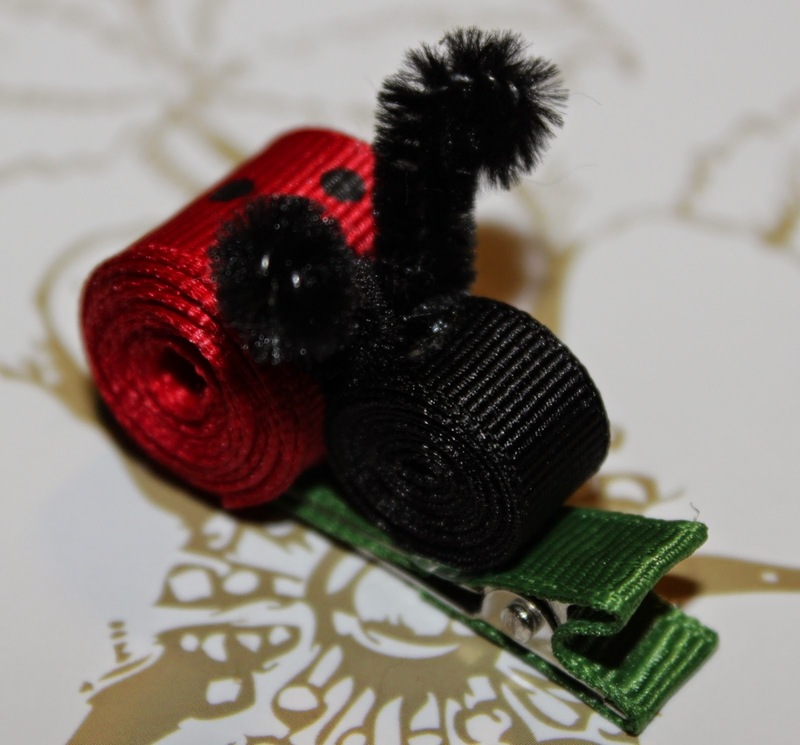 The ladybug’s head used 3/8″ black grosgrain ribbon with a diameter of 1/2″. I glued both of these onto a covered hair clip and then cut two 1 1/2″ long pipe cleaners, using round-nose pliers to curve the tops. These I glued in the dip between the head and body! 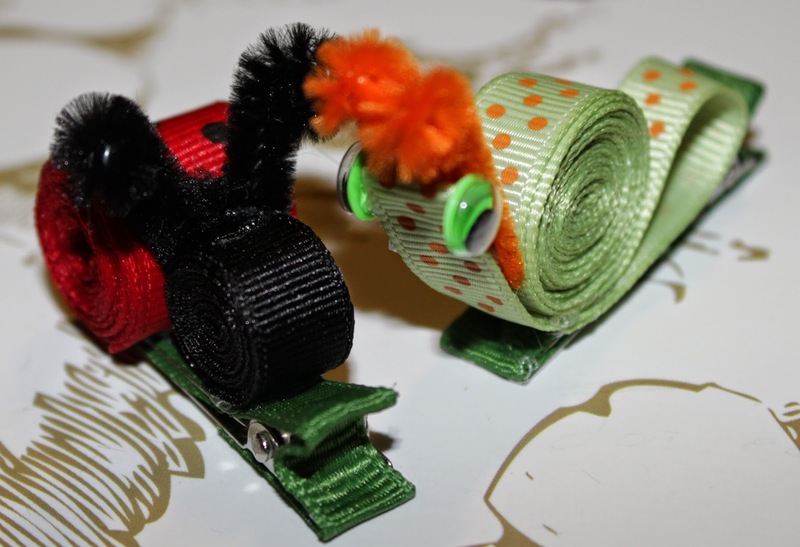 For the snail’s body I used 3/8″ polka-dotted grosgrain ribbon, rolled to 3/4″ diameter. For its bottom (feet?) I cut a 5 1/2″ length of the same colored ribbon, then assembled it as shown below from left to right. The pipe cleaners were the same length as the ladybug’s, and the snail got some googly eyes as well!